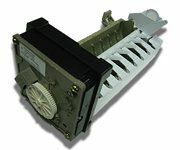 Samsung dryer noise problems can only be caused by a few dryer parts. 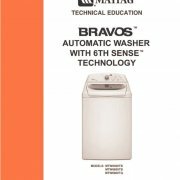 Even though Samsung dryers look fancy and can be expensive, they’re fairly simple machines. 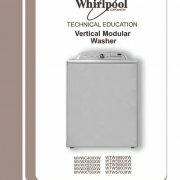 And a squealing, grinding, or thumping sound in a Samsung dryer can only be caused by one or more of the following parts. The Samsung dryer’s belt pulley is a small wheel at the end of the lever arm that keeps tension on the dryer belt, allowing it to grip the dryer motor and tumble the drum. This Samsung dryer repair becomes necessary when the wheel begins to drag on the lever arm shaft and squeak, eventually leading to the wheel locking up completely, melting the roller and breaking the dryer belt. Once the dryer belt breaks the dryer will no longer start because the dryer belt switch opens keeping electricity for reaching the dryer’s motor. So if your Samsung dryer was making a noise and now it suddenly won’t start, the pulley is a very strong possibility! The drum of a Samsung dryer is supported by the appropriately named, drum support rollers, allowing for smooth rotation under the weight of your clothing. Samsung Dryer rollers can begin to drag on the roller shaft, just like the pulley, leading to a squeaking or grinding sound. Dryer noises like thumping and grinding can be caused by one or more bad dryer support rollers. If one dryer roller is bad it’s generally a good idea to replace all the rollers as a set. Samsung dryer repairs involving the blower wheel are rare and are usually very easy to identify without even opening the dryer. The blower wheel is the fastest moving part in a Samsung dryer, therefore if you are experiencing a very fast ticking clicking or grinding noise you likely have an object that is worked its way next to the dryer’s blower wheel. 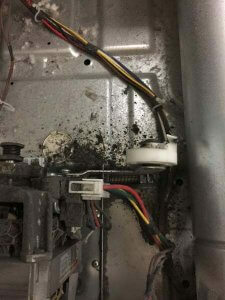 Humming noises when the dryer should be starting can also be caused by a bad Samsung dryer motor which is, unfortunately, all too common. However, and object jammed in the dryers blower wheel can have the same effect and is more likely. 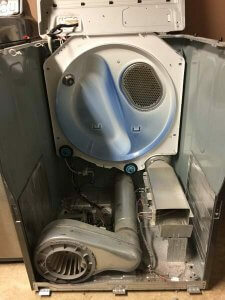 As I mentioned in the blower wheel section, Samsung dryer motors are more common than most dryers have a problem. However, bad Samsung dryer motors are still rare. The Symptoms of a bad motor are most often stopping shortly after starting not working again until the dryer has had a chance to cool off. In addition, bad dryer motors may just make a humming sound when you try to start the dryer. Test: (don’t hurt yourself, attempt to this at your own risk.) Tape the door switch closed and give the dryer drum some help with a push while trying to start the dryer. If the dryer runs you almost certainly have a bad Samsung dryer motor. Samsung dryer drums have been known to crack at the drum weld leading to thumping noises and broken drum rollers. To determine if your Samsung dryer has broken drum, Open the top and rotate the drum until you see the drum weld. Samsung dryer drums most often break on this weld point, at the front or rear roller indentation. 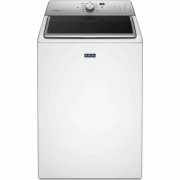 Unfortunately, as of the writing of this article, Samsung has not recalled any of their dryers for this problem and a replacing the dryer drum is a fairly expensive Samsung Dryer repair. The last possible cause for you to be reading this Samsung dryer repair article instead of doing something fun. 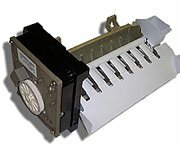 The Samsung dryers drum slides on two felt strips located on the front and the back of the dryer drum. These felt bands act as an air seal for proper air flow and also allow the drum to slide freely while being supported by the drum rollers. 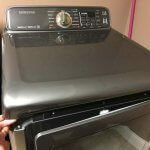 Bad Samsung dryer felts are often the cause of grinding noises and rust marks on the clothing. Worn out Samsung dryer felts also result in large amounts of lint collecting inside the dryer. Lint buildup is a common problem in many dryer styles. Additionally, dryer lint is the most common cause of dryer fires, so it needs to be diagnosed and corrected promptly. In conclusion, I hope this Samsung Dryer repair article was helpful in discovering your dryer’s problem. 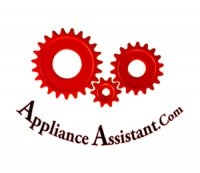 You can find more in depth repair help with each Samsung dryer part through the following links. 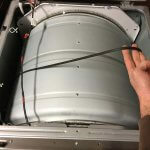 If this repair guide was helpful it troubleshooting your Samsung dryer problem, Please tell a friend or share it somewhere through one of the links on this page : ) . Thanks!